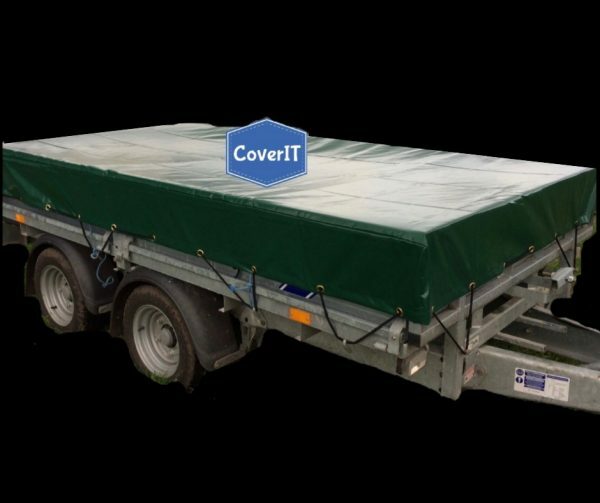 Ifor Williams TT85 trailer cover for a standard or mesh sided​​​​​​​ trailer. Our Ifor Williams TT85 trailer covers are made to fit a standard or mesh side trailer with or without a ladder rack. 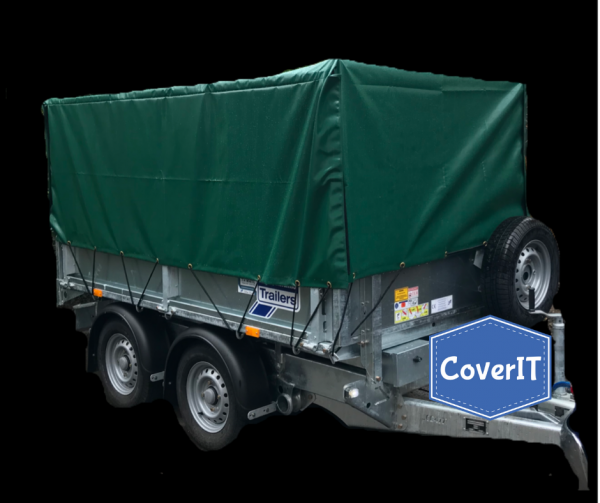 The standard tipper trailer cover is for a trailer with four short sides. 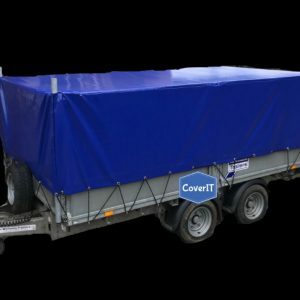 The mesh side tipper trailer cover has 67cm long sides to cover the mesh kit. 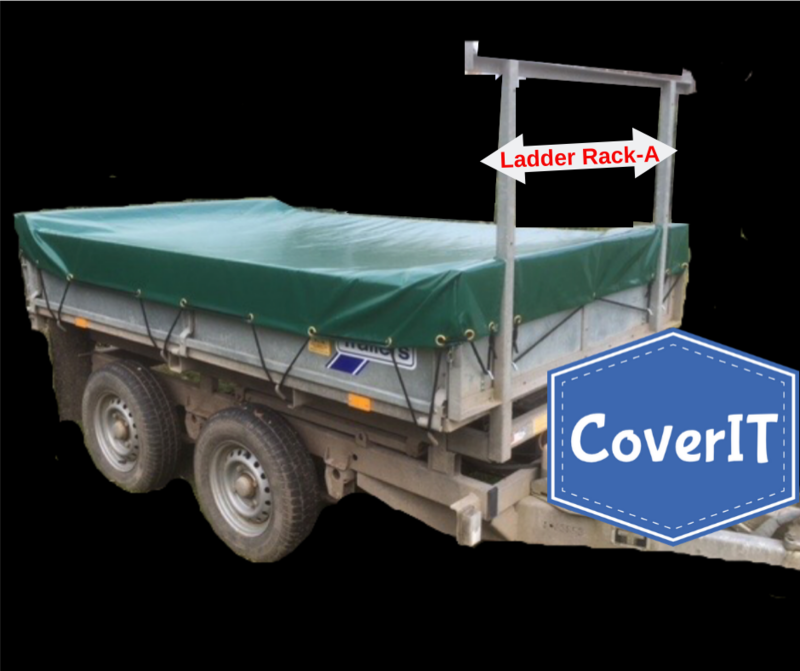 The front and back corners have Velcro down both side edges which when opened allows for the rear tailgate or mesh side panels to be opened without having to remove the cover , this allows for rear or side loading with the cover in place. 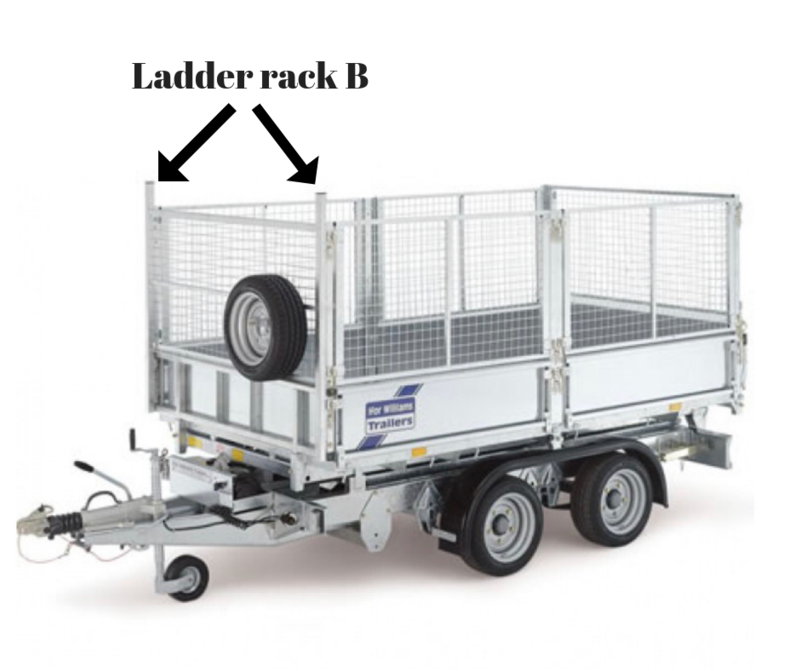 If your trailer has a ladder rack then please see the photos to determine which style of ladder rack the trailer has. 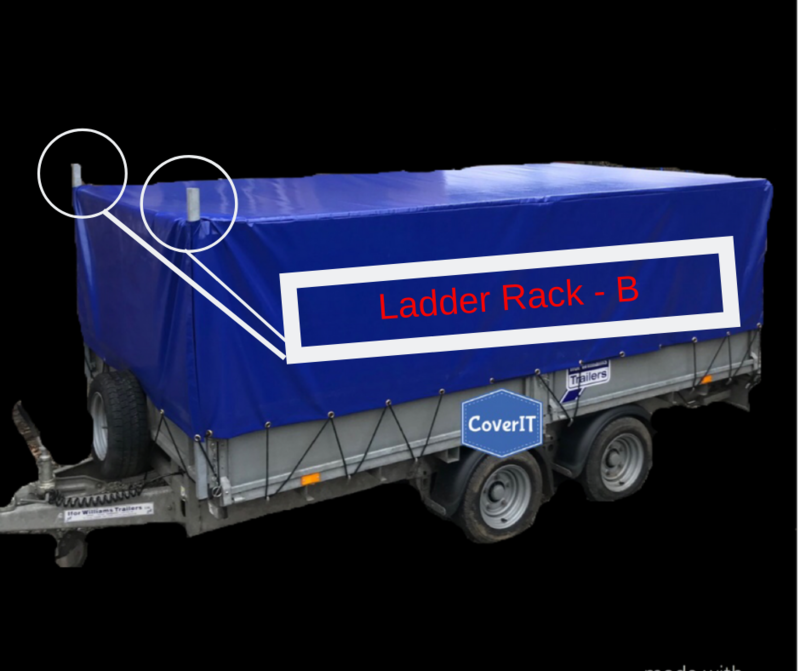 Ladder rack-A is inset from the front corners of the trailer and the standard cover for this style of ladder rack will have reinforced slots for the ladder rack to fit in. The mesh side cover for this style of ladder rack will have a reinforced area across the front edge to protect against the ladder rack. Ladder rack-B is a bolt on frame and both the standard cover and mesh side cover supplied for this style of ladder rack will have reinforced square holes and a velcro opening front to wrap around the ladder rack posts. 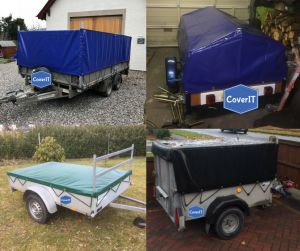 Including free UK delivery these covers are a great way to cover your trailer contents and protect them from the elements. 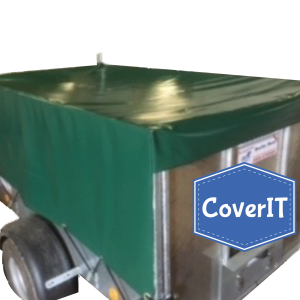 Available in blue, green or black heavy duty 610gms PVC easy clean waterproof tarpaulin. 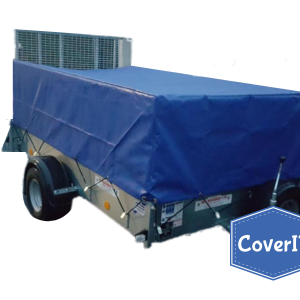 The trailer cover is sewn with UV and rot resistant thread. Solid brass eyelets are used as these do not rust and 8mm black shock cord is supplied as standard. Visit our gallery to see some examples of our covers. 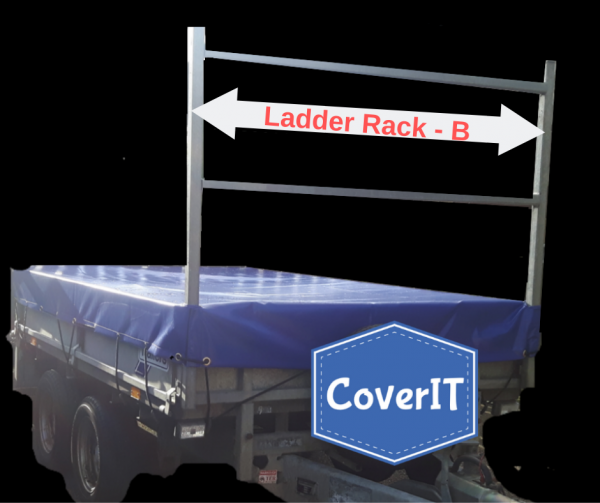 The cover is well-made from quality material and a perfect fit, ensuring the correct position of ladder rack (more than one option, so do discuss beforehand with CoverIT). It is excellent value for money and looks great too. Delivery was efficient – quick & straightforward. I also had another cover made for an Anssems GTV 750; again all the above comments apply. 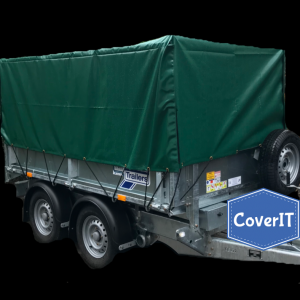 I would recommend CoverIT and would definitely use them again. First rate customer service from Philippa. Philippa is extremely helpful, covers were made and delivered quickly. Would recommend.